WASHINGTON -- Two units of Citigroup (C) will pay nearly $180 million to settle financial crisis-era charges alleging they defrauded investors in two hedge funds by telling them the funds were safe, low-risk investments, U.S. regulators said Monday. The Securities and Exchange Commission said that Citigroup Global Markets and Citigroup Alternative Investments are settling without admitting or denying the charges, and that the funds will bear all of the costs for distributing the money to harmed investors. %VIRTUAL-pullquote-We are pleased to have resolved this matter.%"We are pleased to have resolved this matter," a Citigroup spokeswoman said in a statement. 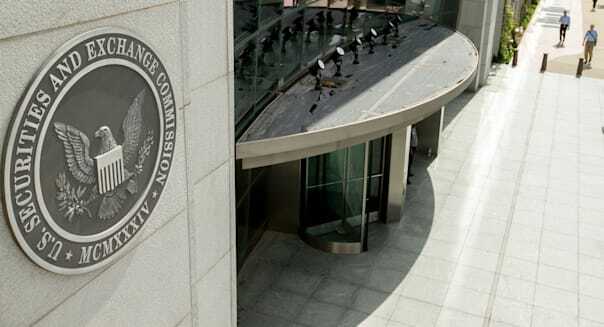 The SEC said that the bank's two units made "false and misleading" statements to investors in both the ASTA/MAT fund and the Falcon fund, which collectively raised nearly $3 billion in capital from about 4,00 investors before the funds collapsed. The ASTA/MAT fund was a municipal arbitrage fund that bought municipal bonds and hedged risks with Treasury or LIBOR swaps, while the Falcon fund invested in a number of products, including complex instruments like collateralized debt obligations. The SEC said that even as the funds were collapsing, the units still accepted $110 million in additional investments and investors weren't informed about the "dire" financial conditions. The regulator added that at times some of Citigroup's employees gave clients misleading information that ran counter to disclosures in marketing documents and other materials. Both funds were highly leveraged and sold to advisory clients of either Citigroup Private Bank or Smith Barney. "Advisers at these Citigroup affiliates were supposed to be looking out for investors' best interests, but falsely assured them they were making safe investments even when the funds were on the brink of disaster," SEC Enforcement Director Andrew Ceresney said.